3900 Fairfield Meadow Drive Louisville, Kentucky 40245 | Home for Sale | MLS #1353910 | Joe Hayden Real Estate Team - Your Real Estate Experts! 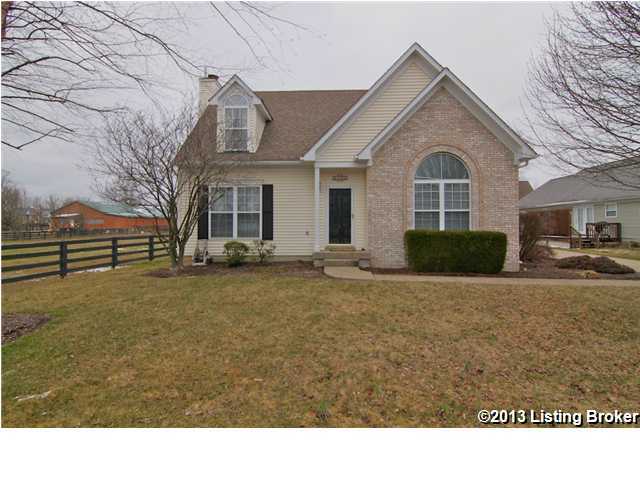 Experience this comfortable home at 3900 Fairfield Meadows Drive in Louisville! Located at the end of a quiet street in the Fairfield Meadow Subdivision, this home features a cottage-like exterior that will deceive you once you see just how spacious and open the home is on the inside. As you enter the front door, you will find the large family room which has a vaulted ceiling leading up to a loft on the 2nd floor. Bringing you further into the home, the beautifully updated kitchen with rare granite counter tops and stainless steel appliances offers a clean, sleek look. Tons of storage and a large pantry keep counter tops free of clutter! A powder room with a pedestal sink is located just off the kitchen on the main floor. 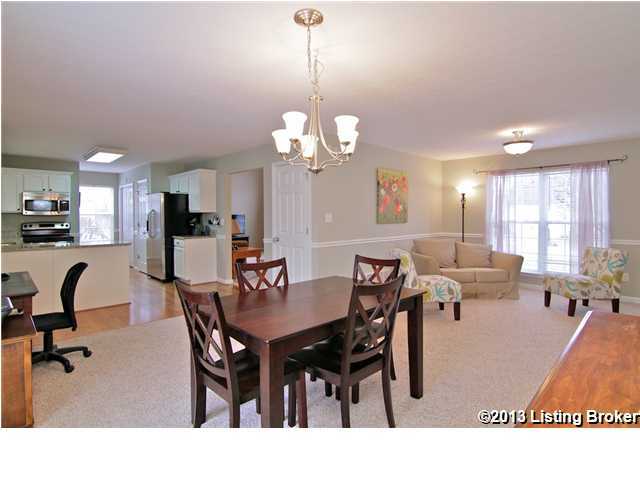 The kitchen opens up to the dining area which is large enough for almost any size dining room set. Also featuring a cozy fireplace, the dining area offers an extended seating area where your guests can enjoy a conversation after a meal. Glass doors to a large deck expand the dining possibilities and make for a great space for either a small dinner at home or entertaining large groups. Upstairs you will find the master suite and two additional bedrooms, all painted in designer colors. One bedroom has a cute dormer window nook for architectural detail, and in the hall you will find a full bathroom with an updated vanity. The master bedroom has a beautiful view of the backyard and the land behind the home, including a picturesque equestrian farm. 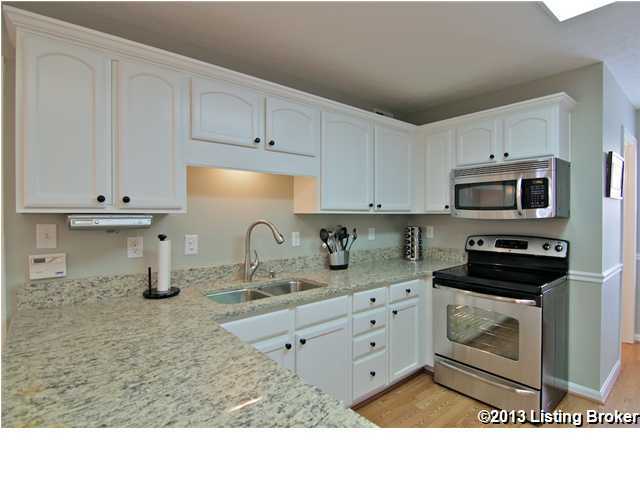 The master bath has been recently updated and features a granite counter top and double vanities. The washer and dryer are also on the 2nd floor, saving you lots of time and energy when doing laundry! The home has a full basement, just waiting to be finished to your taste. It's easy to visualize an exercise room, a theater room or even a game room in this large, open space! Outside, you will enjoy a gorgeous lot that is both peaceful and relaxing. 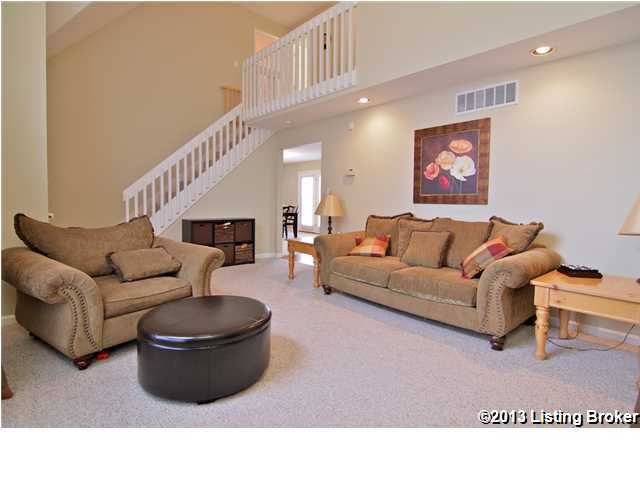 To find amenities like this in an East End home at this price, look no further than 3900 Fairfield Meadows Drive!